This is the view today from the footpath that runs in front of the Scottish National Gallery. 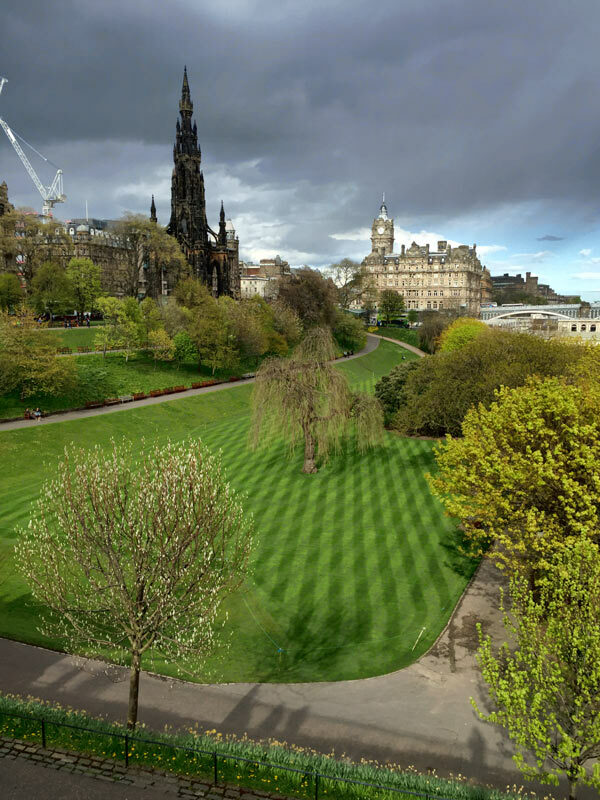 It’s a viewpoint I see regularly because it’s one of the most direct routes from Princes Street in the middle of Edinburgh to where I live – about 20 minutes walk from the city centre. Today the person who cuts the grass had excelled him/her-self. Just look at those stripes. 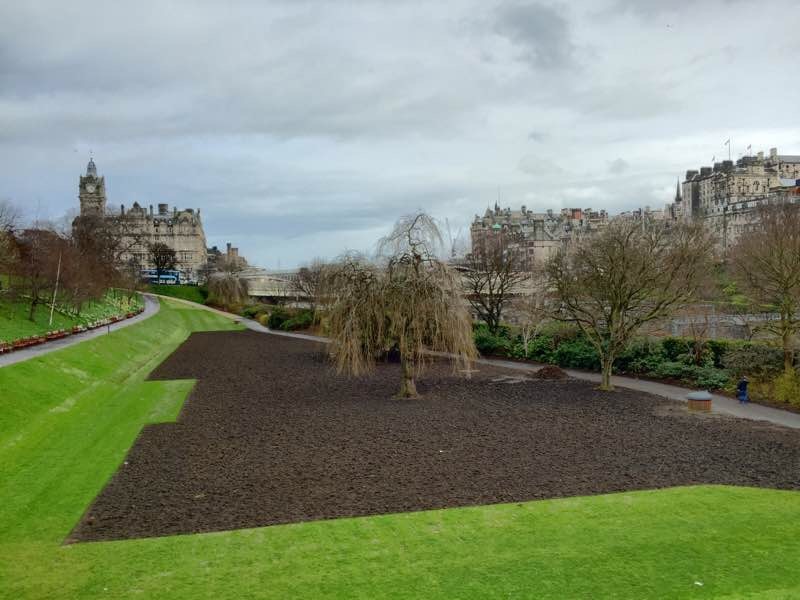 And just a few weeks ago the whole area was devoid of grass – ready for the turf to be laid. It looks even more beautiful than I remember, credit to the gardener! I’ve only been to Edinburgh once and that was just for an afternoon and to go to the Tattoo in the evening. One day I’m going to return for much longer. I recommend it – it’s well worth exploring. We moved here about four years ago – how time flies. It’s small for a capital with just 450,000 people but there are so many different areas I still keep new places. Of course, it is manic during the festival! I’ll definitely go again, it’s just a matter of when. I am super-keen to travel to some places I have never been. I want to travel up to Leh in the far north of India and into Tibet. There are so many places still to see and I’m grateful every time we go on a trip. I really want to go to Spain. Have you been before or would this be the first time? No I haven’t been to Spain, but it’s been on my to do list for a few years now. It won’t be this year – we have all our holidays organised already. Maybe next year… I really want to visit the Alhambra. With all that wet, it’s so blasted green. Pops right out at you. Loving the color contrast with that big , fat greyness rollin’ in. Super shot.